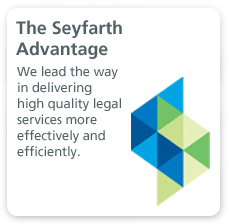 Seyfarth’s Business Immigration Group presents a powerful and rare combination of capabilities, featuring a 160+-member team located in Atlanta, Boston, Houston, New York, Los Angeles, Washington, D.C., Hong Kong, and Europe. 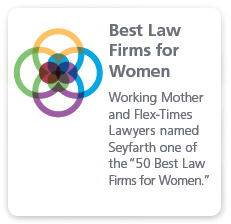 For nearly 20 years, Seyfarth’s Business Immigration Group has provided best-in-class legal services and portfolio management programs for a wide variety of U.S. and global corporations, with workforces ranging from 10 to more than 8,000 foreign nationals. As such, we are well-versed in designing and building the necessary infrastructure for large program management and in resolving nuanced and complicated immigration challenges that arise for companies with changing global mobility needs. We help our clients strategically build their workforce using immigrant and non-immigrant visas, depending on what works best for them. Hiring employees on H, L, E, O, TN and J nonimmigrant (or temporary) visas, while later considering those employees for immigrant visa (or green card) sponsorship. Applications for Adjustment of Status (I-485s), which offer the benefit of applying for the Advance Parole (I-131) and Employment Authorization Document (I-765) more commonly referred to as AP/EAD. An important feature that distinguishes our team from our competitors is the degree to which we function as an integrated national organization, with day to day interaction, a shared technology infrastructure, and collaborative engagement among virtually all lawyers in all of the firm’s offices and departments. Our group is not a subsidiary practice of the firm; rather, it is an integral part of our firm’s nationally-ranked Labor & Employment practice group. 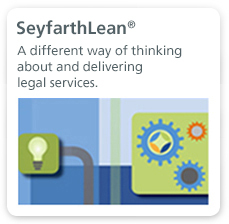 We maintain a deep bench across a national platform that can prepare cases in a timely and cost-efficient manner while providing the highest levels of service. At the same time, our attorneys provide high-level strategic guidance on complex and sophisticated immigration issues. Our technology platform, experienced team of specialists, data analytics capabilities, immediate access to labor and employment lawyers, and our commitment to process improvement and efficiency are all important factors that separate us from the competition. To our knowledge, no other competitor has successfully combined substantive expertise with these capabilities. As a result, we are well-positioned to provide high-touch, high-quality immigration services at competitive prices. Our team follows the latest immigration developments coming out of the new administration and publishes frequent updates and guidance for clients.